Interesting places around the world. 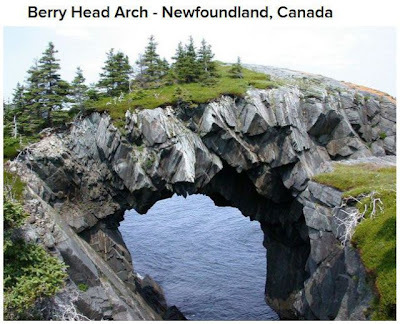 This is found on the southeast tip of Newfoundland island, on the Avalon Peninsula. The arch can be crossed on the Spurwink Island Path of the East Coast Trail. Oddly, Google Maps does not have the spot.